Why are we the Premier Home Care and Senior Care Franchise? How did we become a premier senior care franchise? We did it by developing a business model that ensures that we provide premium quality senior care service to our clients and to our senior care franchise owners. For our clients, we provide highly qualified, compassionate and trustworthy caregivers who have undergone thorough background and reference checks. We are committed to providing outstanding home care services, to exceeding our customer’s expectations, and to treating every family member as if they were our own. For our franchise owners, we provide all of the support they could possibly need to be successful and do our best to make sure Acti-Kare franchises remain the most attractive in home care and senior care franchise opportunities. Acti-Kare home care and senior care franchises have become industry leaders by offering high quality home care to seniors and other clients needing assistance, such as new mothers and their children, those recovering from surgery or other ailments, and even pets. 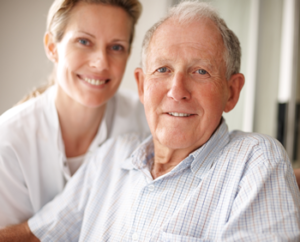 Acti-Kare senior care and home care franchises offer a complete suite of caregiver services, utilizing a variety of settings, including in-home, in assisted living facilities, in retirement communities, and to the general public. At Acti-Kare, we recognize the value of every member of your family. We understand that it’s not just spending time with you or your family member that counts. It’s spending quality time in physical and mental activities that help each member of your family remain productive, contributing members of their families and communities. • We promise to provide superior compatibility between our clients and our very special caregivers. • We promise to provide only companions/caregivers who have undergone a thorough background and reference check; those in whom we have such trust that we would feel comfortable pairing them with our own family members. • We promise to provide companions who will be completely focused on their clients’ needs; those who will be not only be an assistant, but a trusted friend.